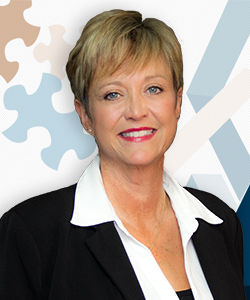 Meredith Vincenza has over 21 years of experience in the healthcare industry. As Executive Consultant for Medical Management Services, Meredith focuses on day-to-day operations to include practice revenue enhancement, practice cost management, evaluating new lines of business, and charge, insurance claim, and denial monitoring. Meredith began her career in the hospital setting—moving to physician based operations in 1990. Her expertise as a practice manager across multiple specialties includes staffing, physician recruitment, capital acquisition analysis, budget development, business planning, pharmaceutical purchasing, inventory management and cost effective reimbursement. Meredith’s operational acumen provides the breadth of experience needed to exceed client expectations. Meredith has extensive experience evaluating and modifying revenue cycle components to address operating costs, internal control structures, personnel performance accountability, cashflow, and executive performance reporting. Meredith has experience with many practice management systems including McKesson, Epic, Horizon Ambulatory Care and RelayHealth products. Meredith is an active member of Medical Group Management Association (MGMA). She is also a member of the American College of Medical Practice Executives (ACMPE) and earned her Certified Medical Practice Executive (CMPE) designation in 2009. Meredith has also been active in Professional Association of Health Care Office Management (PAHCOM) previously serving as the local chapter Secretary.